It's Different in Midnight Sun! 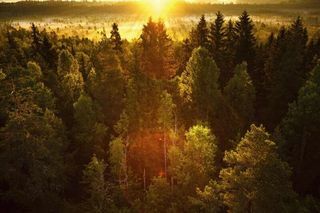 The Midnight sun in northernmost part of Finland is a most popular natural occurrence of the year. This is the time to celebrate daylight, summer, and love. So, what are you waiting for? 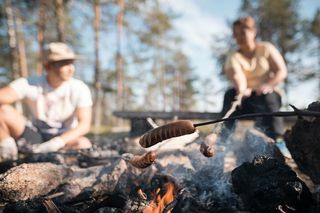 It's past midnight, the sun is on the horizon, and you are eating delicious dinner by an open fire. Sounds like a dream? 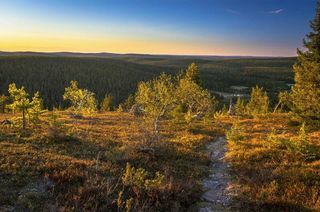 The Midnight sun in northernmost part of Finland is a most popular natural occurrence of the year. This is the time to celebrate daylight, summer, and love. So, what are you waiting for? 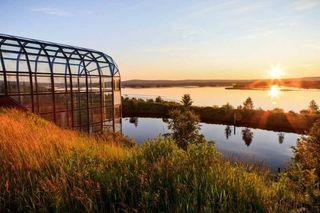 The sun will not set for almost 70 days in Northern Finland and the sun will be visible in these parts at the hour of midnight and beyond. 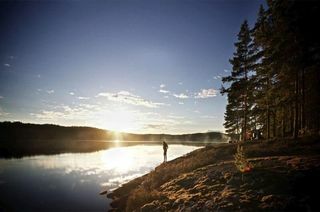 It describes the midnight sun as a natural phenomenon. We will start our tour with hotel pickup. 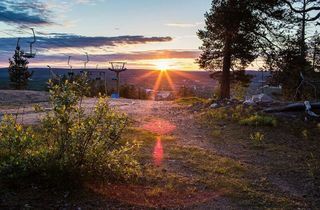 Even though you can enjoy the beautiful sunny nights anywhere in Lapland, we like out midnight sun experience to be as special as it can. 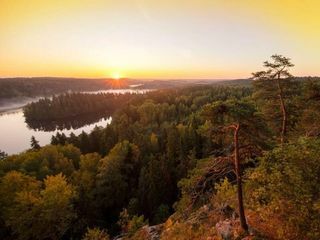 So, we're taking you to the top of the Santavaara Hill, just 25 minutes’ drive from Rovaniemi. 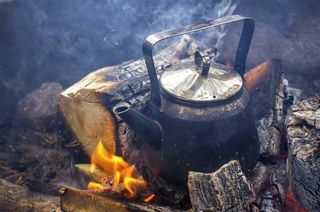 We will take a hike through a small forest and set up a campfire to keep warm, but also to cook delicious dinner. Summer is our favorite time of the year, for it is the time when we are the most active. As you experience midnight sun you will start to feel energized, awake and fully in touch with yourself and your surroundings. 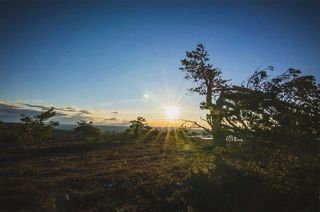 Did you know that some believe midnight sun is a perfect time for shamanic healings? On this relaxing tour we will stick to the good old fun by the open fire, and help ourselves to sparkling wine. Since midnight sun occurs during berry season, we will go berry picking and taste delicious wild berries, straight from the Finnish forest. We might see wild, but friendly Arctic animals, such as moose, reindeers, and many wild birds. Your guide will prepare tasty snacks by an open fire, we will pick berries together, and salute to daylight after midnight. This is one of the rarest natural phenomena, and a total bucket list experience, so whatever you do, don't miss out witnessing this rare occurrence.